Fabulous 55 plus living in the Cascades at World Golf Village! 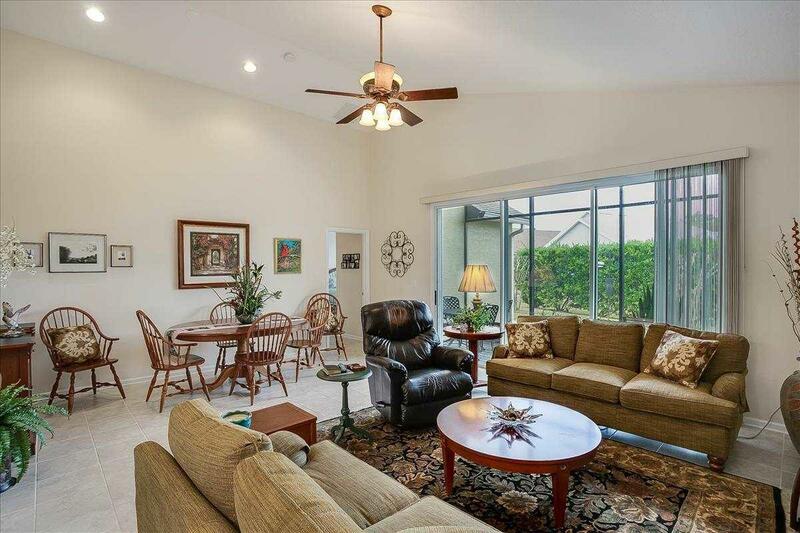 This one is like new, with beautiful tile floors throughout the main living areas. Plantation shutters throughout. Bright & cheery breakfast nook with bay window. Fully equipped kitchen with Espresso 42'' cabinets w/ crown molding, granite counters, stainless appliances and breakfast bar that overlooks the large family room with vaulted ceiling. Dining/family room combo. Over sized sliders open to screened lanai. Split bedroom arrangement. 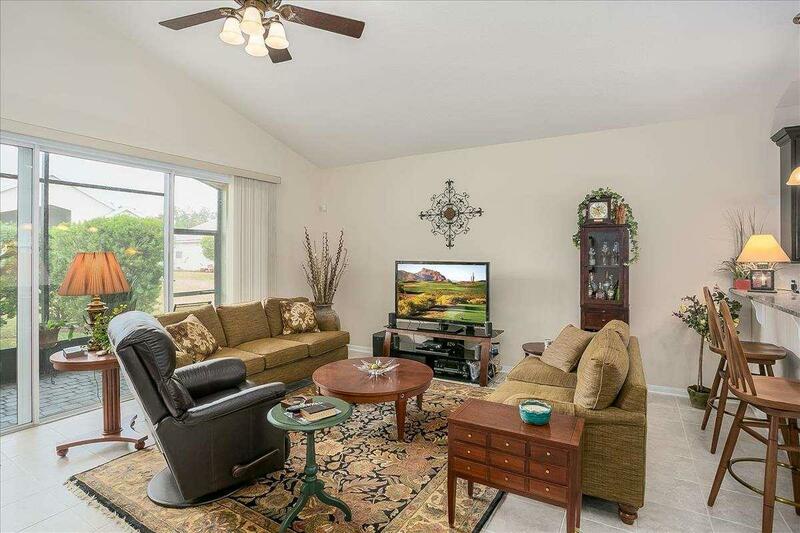 Spacious master suite with vaulted ceiling, walk-in closet. Master bath with double vanity including make up area. Updated lighting fixtures and ceiling fans throughout. Secondary bedrooms feature ceiling fans, guest bath with tub/shower combo. Large laundry room with laundry cabinets and extra closet for storage. 2 car garage with epoxy floor, closet for HVAC & Water Softener. Enjoy all that the Cascades has to offer! 25,000+ s.f. clubhouse/fitness/tennis and amenity complex! Indoor heated swimming pool, huge outdoor patio, hot tub, pool, grand ballroom, game room, billiard room and full time director. No need to worry about lawn maintenance. 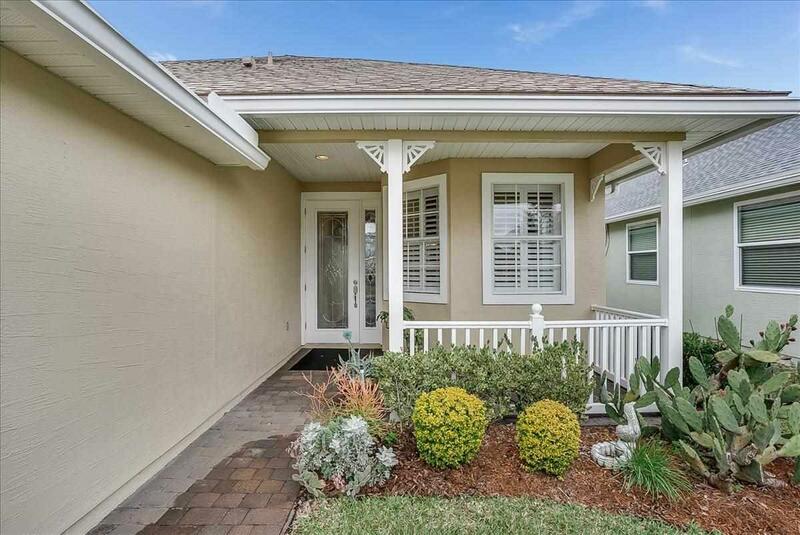 Included in the hoa, is yard mowed, irrigation water, lawn/shrub cutting & mulching! 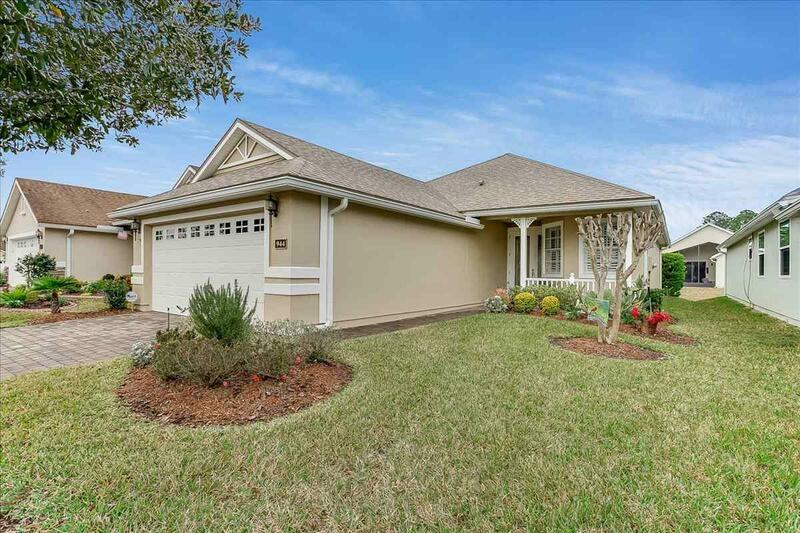 Easy access to I95 for quick access to Jacksonville or downtown St. Augustine. Listing courtesy of Re/Max Specialists (Jax).